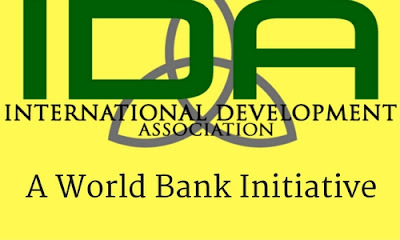 IDA complements the World Bank’s original lending arm—the International Bank for Reconstruction and Development (IBRD). Once in three years, global donors meet to replenish IDA resources and review IDA's policy's framework. The recent replenishment (IDA17) was finalised in December 2013, which resulted in a $52.1 billion replenishment to finance projects over the 3-year period ending June 30, 2017. The next replenishment- IDA 18 is from July 1, 2017, to June 30, 2022. The replenishment process typically consists of four formal meetings held over the course of one year. In addition to officials from more than 50 donor governments (IDA Deputies), representatives of borrowing member countries are invited to participate to ensure that IDA’s policy and financing frameworks are responsive to country's requirements. 10 & 11th October 2016, in Washington, D.C.
India (India graduated from IDA at the end of the fiscal year 2014 but will receive transitional support on an exceptional basis through the IDA17 period (the fiscal year 2015-17). An additional 5 GW of renewable energy generation capacity. More than 60 donor nations and borrower governments agreed with a record $75 billion commitment to fund against extreme poverty, as the World Bank’s fund for the poorest countries. g. Jobs and economic transformation—areas of special focus over the next three years.